Surrender at 20: Red Post Collection: May 2nd Gameplay Thoughts, Heimerdinger Changes for 7.10, Animating Xayah, and more! This afternoon's red post collection includes Meddler's quick gameplay thoughts for May 2nd, a new /dev on animating Xayah, a look at tentative 7.10 Heimerdinger changes in the works, discussion on upcoming 7.10 ARAM and Riven changes, and more! Mid-season goes out tonight/tomorrow barring any last minute unexpected problems! 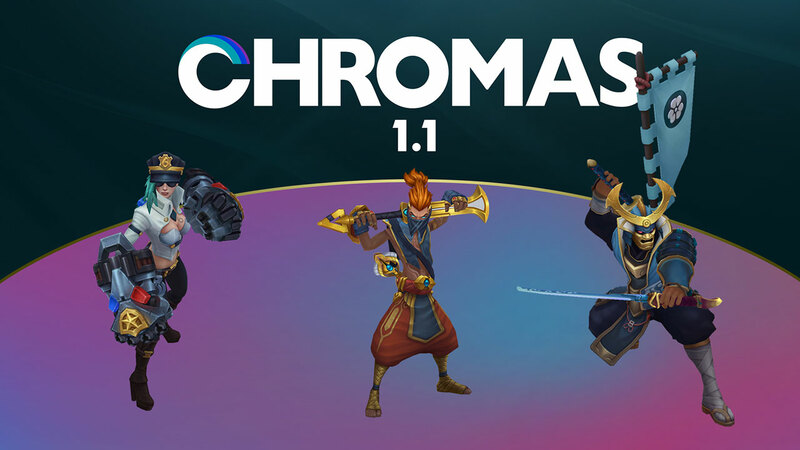 Really looking forward to seeing how you folks find it and how it changes our perception of what needs work in 7.10 and beyond. Rumble: Shifting some damage from Q to Overheat auto attacks, with the goal of making his laning a bit more interactive (Overheat autos require him to draw minion agro). Also aiming for power neutral, but with better game health. One thing I'd suggest watching out for with the new Rift Herald that goes out tomorrow is that the channel to summon it is interruptible. Hadn't thought about that myself much until yesterday when during a playtest I tried summoning it just as a teamfight was starting to break out for a bit of extra pressure and someone promptly CC'd me, stopping the channel which also consumes the item. Recommend learning from my mistake on that one and either hanging back a bit when summoning or taking advantage of opponents trying to do so too far fowards. I'd imagine most of you have already seen it, for those that haven't a Mid Season spotlight went out yesterday though. Worth a look, and also at the end includes a brief glance (super brief) at one of the screens from the 5 ban system for ranked/draft that's being worked on right now. You mentioned future work on lb, any news on what and when that will be coming? It's currently in testing, though I haven't had a chance to play it yet myself. Hoping to give it a look sometime this week so I speak more usefully about the details." what are you most excited about for the next patch? I want to rush down a lane with Yorick, Herald and the Maiden as a sort of unstoppable force. In terms of what impact it has on the game, Rift Herald, particularly how it shapes mid game objective play. In terms of how I personally play though I'm really looking forward to the support starting item changes, coin especially (I play a fair bit of support, so that'll impact my own experience a lot). " how is it about to balance the game first? Summoners Rift aint balanced! If we didn't work on things like ARAM until everyone online agreed SR was balanced we'd never get to work on ARAM ever. SR's still our main priority by a large margin but having a couple of people put some time into ARAM every so often is something we think's worthwhile." 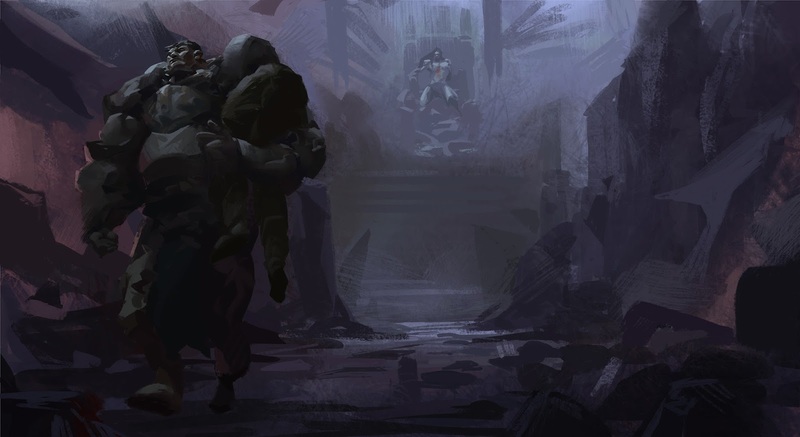 With mid-season trying to put tanks back in the jungle, is there a plan to nerf down the excessively dominant junglers (Lee and Graves in particular) if they continue to crowd everything else out with their safe, fast clears and ability to still powerfully gank? We might have some Graves nerfs in 7.10. Not sure yet on Lee Sin, though being discussed." If you are indeed going to go with these Rumble changes, can you at least make his autoattacks feel less awful? We're planning on looking at Rumble's AAs at some point. In terms of timing they're pretty reasonable, the way the animation's done makes them much harder than they should be to read though. That makes em feel awkward/clunky. As with any champion we'll assess where Rumble stands power wise once mid season's out." "If you land multiple rockets on somebody and the turret starts firing its laser attack, it won't go over the cap until it fires off the laser beam." Looks good, but one idea I had for making the turrets a little more fair against melee champions is to decrease the normal turret attack range while increasing the beam attack range slightly. This allows melee champs to approach them more easily. Or, make them work like a reverse gromp, having to take a couple of shots to build up to their full damage or attack speed. Would make it just as viable if you try to stand in the turret range and attack him while making it easier to approach the turrets to kill them. Just some ideas. What you have would probably help though. I especially like the ability to carry 3 turret kits at all levels of the Q, because maxing Q first on Heimer is mandatory currently. I specifically wanted to loosen up levelling restrictions, so that they can be more versatile." "The W changes are intended to be helpful for the midlane. We've been seeing W max be relatively successful (as the passive allows you to get some good angles for poke)." "The idea is that you are actually able to defend your turrets when people go to smash them, because your spells are helping your turrets survive. On live, the turrets just defend themselves which results in (usually) binary "i kill them, or I don't kill them and die" types of gameplay." "On live, the charge up beam for the beam attack is blue on top of another blue bar (making it hard to see). I just changed it to white, so you can actually see it charging up. The actual beam functionality is the same. Heimer has been seeing relative success mid in our playtests." This is probably a silly question but why does the RE have to eat up the cd? aside from that the q nerfs seemed scary but i took deep breaths and read everything else, i love the new passive and the way the turrets interact with his other spells is nice and there were little buffs here and there so i think its fair over all. We don't really like the idea of having large AOE 2.5 second AOE stun, because it will likely monopolize the other options." These changes look really good on paper. Was this the same guy that reworked Aatrox? The numbers here might be a bit iffy, but it's a pretty solid direction. He'll get kills by accident much less frequently, and he'll have some new tricks up his sleeve. No, this was done by Fizz Enthusiast/phroxon while Aatrox was Ricklessabandon." The concept to me looks great. One of my concerns is that if you're putting more power into the beam (Which I think is a good direction), you might want to make it faster. It is fairly easy for ranged champions to dodge it already even without trying just by walking. Forget if they have any kind of mobility. If it becomes this core to his kit, it needs to be a reliable reward. The slow being easier to land on E helps with some beam reliability from my experience"
Here’s a quick summary of where we’re at post-7.8 ARAM changes, and while it’s possible stuff in 7.9 will cause some major changes that will need to be responded to, here’s what we’re looking at and why. You'll start seeing these changes trickle out to PBE soon. Games in general are resolving slightly faster but more importantly stalled out games are actually ending and resolving. We’re seeing more back and forth and games are more action packed than before. While fun is subjective people in general seem to be enjoying the changes. Overall, we’re pretty happy with how games are shaking out but we’re still looking to make some changes in 7.10 to improve things. Even though "Stomps" do not appear to have increased, on a champion balance side with some exceptions (such as Sona who dropped last patch), many champions who were strong in ARAM got a bit stronger and many that were weaker got a bit weaker We're not aiming for anything near perfect balance for ARAM, and we won’t be doing champion specific balance for ARAM, but there are some small changes here we think can go a long way in bridging some of this gap. This has successful in helping waves catch up with pushes and allowing them to keep up with champions, but had a few wonky unintended edge-cases such as super dodgy champions when it's meant to be a transit buff. As a result once a Super Minion enters combat this Out of Combat MS aura will be disabled for the remainder of it’s lifespan. The Goal here is to give to offset wave strength between waves to give teams with less wave clear a better chance to push out their lane and vary up the flow a little bit early on. Due to their being a small Blue side advantage still on ARAM we’re looking at starting with Blue Side getting the first Cannon Minion so that the small experience advantage goes to Red Side. It’s a little inelegant but we’re looking at increasing early survivability of Melee champions with a flat MR boost (currently looking at +10). It’s unsurprising that Melee Champion struggle early in ARAM and they tend to get beaten up by primarily magic damage casters who on a map/mode with access to a lot more spellcasts in a narrow corridor tend to do well. This should soften up some of that early harass, with the buff being less meaniningful later as it becomes less needed later in the game. We feel general gold flow is a bit low and many champions need that extra income to really turn on and start functioning so we’re kicking up the passive gold generation a bit. Expect a small increase in both the minion sharing gold and the ambient gold. We're roughly targeting "half an item" for the average game in terms of increase. We like that other Summoner Spells are being seen with increasing frequency in ARAM but we feel that Snowball isn't carrying it's weight in the early game so we're buffing base damage a bit. This will obviously be most noticeable very early game. Feedback has been pretty consistent that the Guardian’s line is a little bit weak. We generally agree though to different extents on the different items. As a result we’re doing a small +50 Health Buff across the board and an additional small buff to the Hammer and Horn (+5 AD,and +50 Additional Health respectively). Anyhoot, that's the quick "where we're at" for ARAM in 7.10. It won't be the end of the updates (we're looking at potentially doing a followup later this year) but we are going to ease off the gas after this patch for a while. We're additionally discussing some meta layer options, such as how rerolls, dodging, and champion pool options, work, etc but any changes in that space will not be included in this patch. Thanks for all the feedback and support from the last changes. Whether or not you agreed with all the changes in 7.8, the response has been really helpful is assessing and planning for this update. Are you looking at any direct nerfs/buffs to specific champions specifically for ARAM only? What about items? Whenever I get a mage in ARAM my first buy is always lost chapter and corrupting potion then I never have to worry about mana ever. No we will not be doing any champion specific balance for ARAM. Stuff that's unique to ARAM we're totally on board for changing though (the starting items, health relics, the global buff etc)"
Is it possile to buff/nerf champions specifically for the ARAM mode only? I know you guys can make specific changes to champs for TT. Why cant you do it for ARAM? We used to do this on TT and Dominion, but stopped supporting that a few years ago. No map specific changes exist anymore and as FeralPony mentioned, we won't be doing that in the future either." Would Riot ever consider unlocking all the champs for Aram? If so people could then be rewarded as they are now with reroll points based on what champions they have unlocked. This way everyone has a fair shot of getting every champ and people that invest more into their accounts get the benefits of more rolling more often. 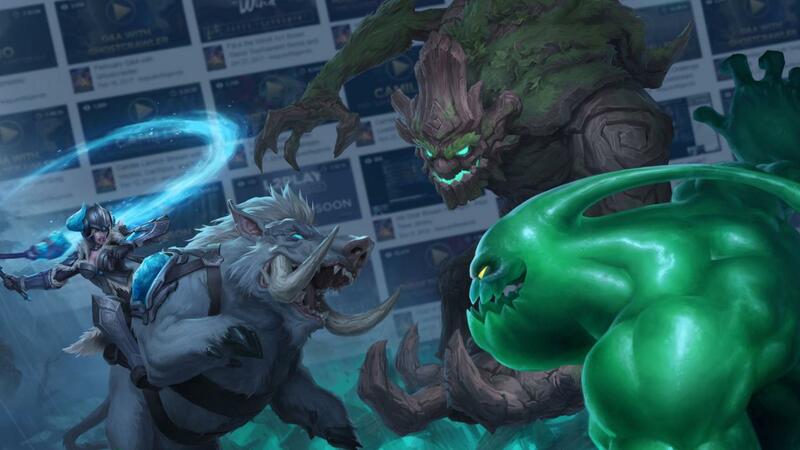 It's possible we'd do some adjustments to the champ select phase in the future, and it's been something we've been discussing but definitely not for this patch." "We'll have a small amount of time to assess the 7.9 changes before 7.10 has to lock and if we see a large swing for tanks or melees we'll lower or cut the MR change. Snowball dmg feedback noted. I'll keep an eye on this. As for Guardians items we def want to keep the option open for other starting builds but we find these are very forgiving items that still allow players the option of other starting builds in some cases. I think for many characters it's a tough sell but I think we can make that choice a bit more even (BF Sword for ADCs for example). You are of course, as with any starting builds have your own preferences." Not sure about "10 MR on all melee champions". While most of them do suffer, many tanks and assassins are monster level threats on ARAM. It's definitely less elegant than I like which is why I was hesitant to do it for a while, but even the most god tier tank champions with like 1-2 exceptions are still way below their Mage counterparts. I'm super happy to switch to +5 if it's an overswing." Hey there, are these changes aimed at smoothing out her effectiveness across elos so that balancing Riven in the future is easier? Can we expect any future changes so that good Rivens are less powerful or difficult to punish? Some of these changes are targeted at making the Animation Cancelling experience more consistent, thus easier to learn. Making Riven easier to play is probably a disservice to Riven players. Making her ability trigger more consistently and as expected is the first step to smoothing the learning curve. 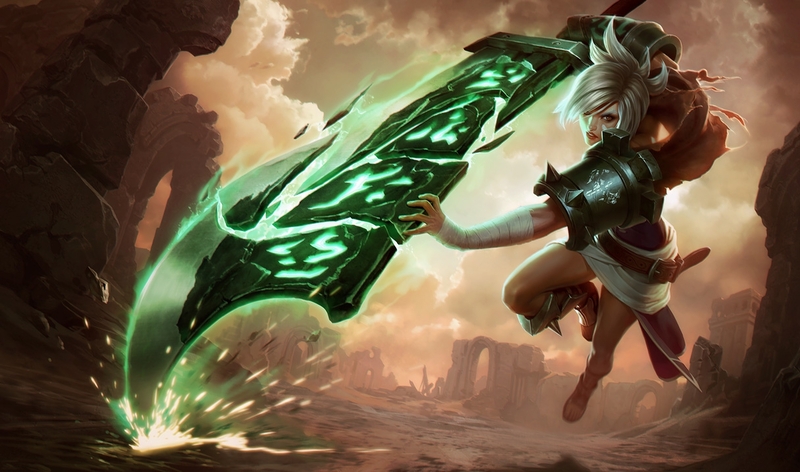 For the record, Riven is one of the few champions in the game that have intentionally scripted animation cancels." 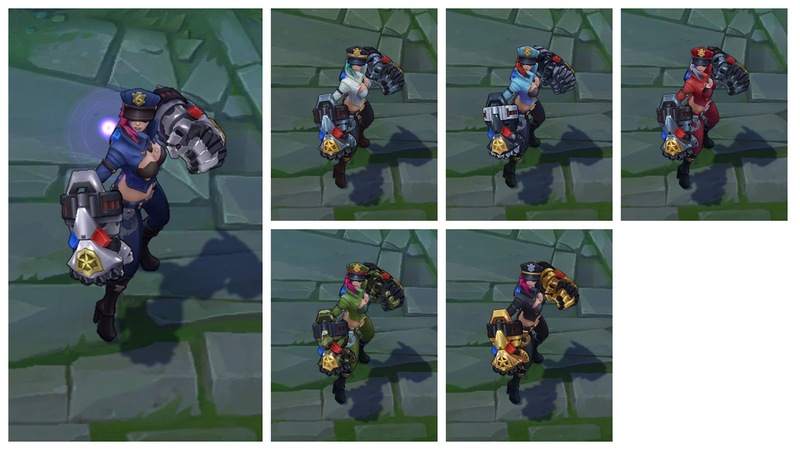 Are these changes going to be in today's PBE build or a few days from now? I've played a lot of riven so I'd like to give some feedback on the changes once they come up. Not fully yet, I would hold off on testing until tomorrow. I haven't integrated everything here into the PBE build yet. Only Change #4 & 5 are in today's PBE build." "Hi everyone, Senior Animator Warren “fluffynus” Goff here to give you some insight into Xayah’s development from an animation perspective. When building animation for new champs in League, we set out to accomplish two main things. The first is to clearly communicate gameplay; this includes the actual attack animation (and ability animation, death animation, etc…) as well as the feelings attached to them. The second is to define the personality of a champion by adding little quirks of their character into the game. In short, we want a champion’s animations to be clear and satisfying when auto-attacking and using abilities, while also true to the persona of the character. 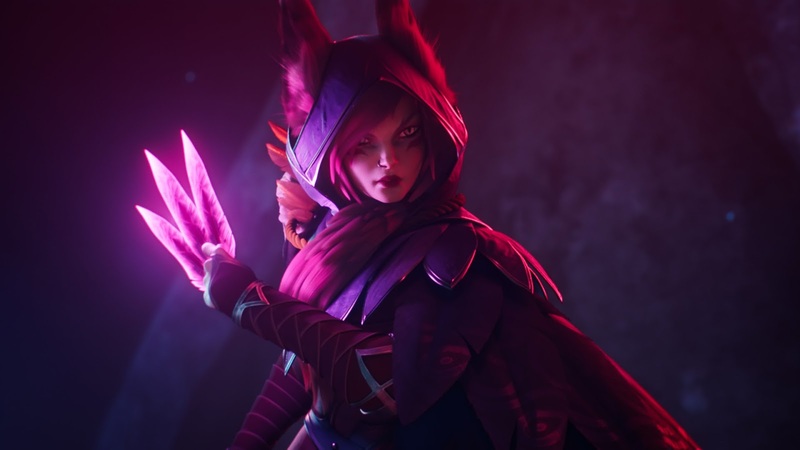 Xayah’s rapid-paced gameplay and complex wing created some animation challenges: How can we make her movements look good, even when they happen quickly, while also showing off her feisty personality? Xayah has low cooldowns late-game and scales well with attack speed, so we knew she’d eventually be jumping between spells and autos pretty quickly. Because of this, we explored a bunch of attack styles early on to find what synergized well with her kit and felt satisfying, even when rapidly flinging feathers. 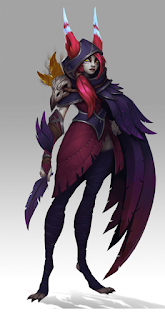 We also wanted Xayah’s wing to look natural during her animations (regardless of the speed), adding another layer of complexity. Xayah’s wing looks great when she spins because we can create really interesting shape changes (#SpinToWin). Xayah—and her wing—are not soft or floppy; her movements are direct and tight, which match her personality. It looks much more natural when each of her wing’s feathers start and stop separately, especially during faster animations. With these learnings, we were able to start creating animations that looked and felt good, even at high speeds. We work at 30 frames per second when animating auto attacks and spells for League. Xayah’s autos and abilities can be interrupted after about ten frames, which means we only have .33 seconds (ten frames) to anticipate and show the attack animation. Because of this, we have to be very specific about how we pose Xayah in each one of those ten frames. Her attack animations need to be distinct and obvious, so every player can recognize what she’s doing, while also seeming agile and dangerous, so she’s fun to play. Xayah’s overall character and shape language is sharp, so we decided to make her animations feel snappy and responsive and for her wing to act like a wing, rather than a lifeless cloth—this also reinforced her spitfire personality. Since Xayah (probably) builds attack speed and can cast spells between autos, we kept the blends between animations to zero. In other words, she can immediately move from one animation to the next, with no frames in between. This is something we normally avoid, but with Xayah, it helped her feel really responsive and quick-footed. For Xayah’s basic attacks, we wanted to make sure players could clearly see when she was about to auto, so we used a big anticipation pose and held it for five frames. After that, we popped into the actual attack and then the follow through. Keeping the action to three main poses makes it more readable for players, as they first see the anticipation followed by the shift into actually throwing the quill. Animating Xayah’s wing was a huge challenge, and we tried quite a few designs and rigs before landing where we are now. The final version has 39 bones, which is nearly as many as some champion’s have in their entire bodies, so animating her took a little longer than usual. Controlling the shapes of her wing during fast actions was especially important because we didn’t want it to seem stiff or unnatural—our goal was for Xayah’s wing to feel like it was weighted and under her control, kind of like extra fingers. Even though the rest of Xayah’s animations feel concise, the wing maintains a fluid-feeling throughout each motion before ending in a wing-like pose. For example, during Xayah’s ult animation we controlled the shape of her wing so it spun smoothly while Xayah launched into the air but still felt snappy when she unleashed her Featherstorm. Animating Xayah’s attacks, abilities, and wing took some experimentation before we landed on a set that has clear gameplay, feels satisfying to play, and captures her fiery personality. We’re excited to finally see Xayah and Rakan together on the Rift, and we hope you guys enjoy the duo!" "Join GentlemanGustaf, Beluga Whale, and Shrieve as they talk about the 2017 Midseason tank update at 1:30 PM Pacific to 4:00 PM Pacific on May 3, 2017. Leave your questions, memes, and dreams in the comments below so we can address them during the stream!" The VOD will be available tomorrow after the broadcast. Look for a full post when they are up and available in the shop for purchase! Video previews here. "Ezreal's weird story made by fancreators, 강종택 and 강민규! Ezreal has been trained to PraY. then, how performing is his ability? 3) For a limited time when you spend 65$+ in the Riot Merch Store you will recieve a free Demacia hoodie. Visit your regional merch store for more info.